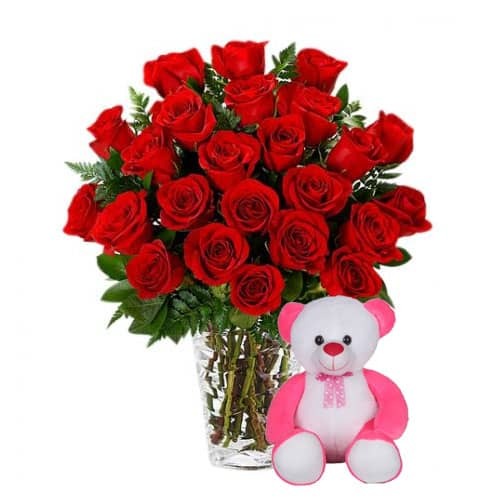 Product description: Gift someone you love this Glorious Valentine Love Teddy Bear and Roses to steal his/her heart. 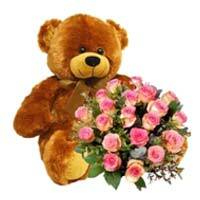 Add an extra charm to your special moments on Valentine's Day with this Gift of Teddy Bear and 20 Pink Roses. 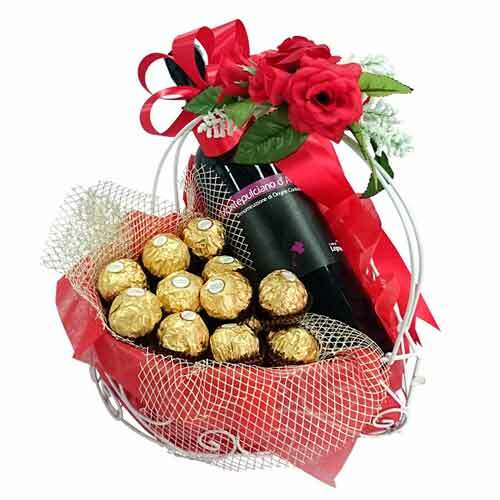 This arrangement is made of 11 Ferrero Rochers with wine 2009 IGT TOSCANA Bischero Rosso 750 ml. 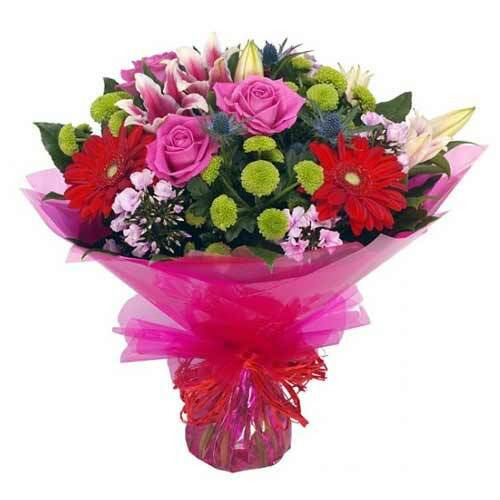 Delight your loved ones with this Assorted Flower Arrangements that combines happiness and excitement to deliver your love to them. 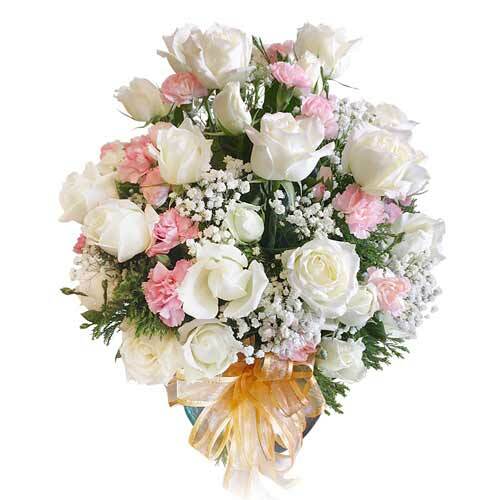 Console someone feeling low by sending him/her this 24 Roses Love Bear Gift Pack which instantly lifts up the mood. 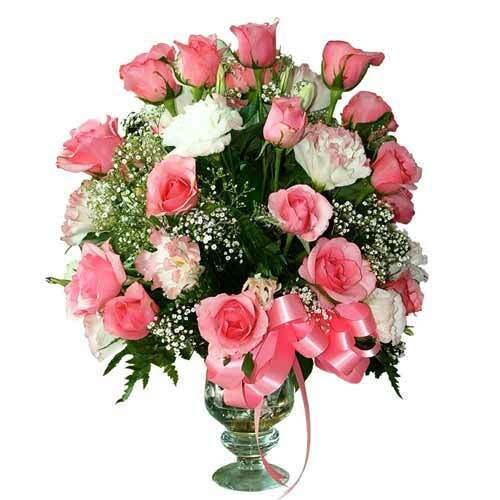 Note : stuff bear and glass vase maybe not exactly same as shown. 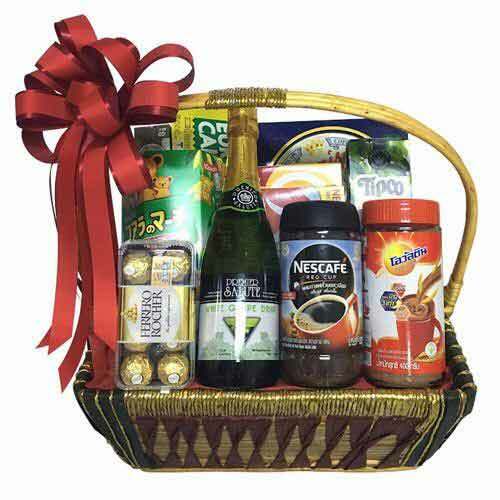 This is up to stock available.